Your engraving can include up to 2 lines of text with 13 characters on each line. 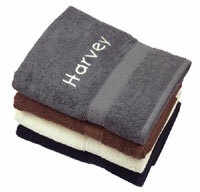 This item is usually dispatched within 1-2 working days by second class post. Not engraved in-house and will arrive separately. Sometimes less is more. Elegant bone shaped engraved dog tag with single blue rhinestone gem. 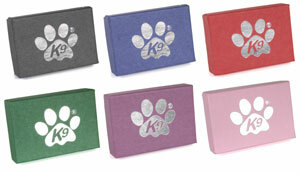 A classic dog ID tag by K9. We love these gems of tags and think that you will too. 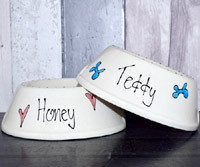 Ideal for those elegant dogs who know that less is more when it comes to bling. 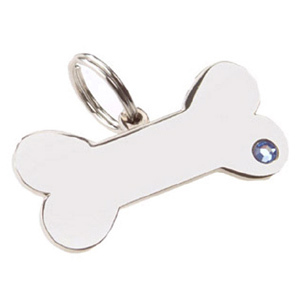 Simple bone shaped dog tag with blue gem that is sure to get your dog noticed. Nickel plated with a resin outer coating for extra durability. Tag dimensions 38.3mm long x 18.5mm wide (middle height 10mm). Each tag comes smartly presented in a gift box. 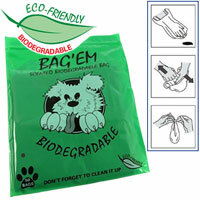 The boxes are recycled, eco-friendly and also fully recyclable. 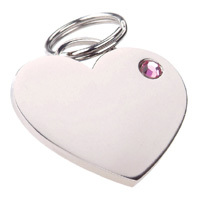 Engraving is on the back of the tag and is included in the price. Your engraving can include up to 2 lines of text with 13 characters (including spaces) on each line. You can use as few or as many lines as you like but line 1 is required. Please do not copy and paste lines of text as there is a character limit and your text may not paste completely. 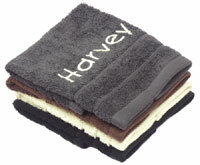 I absolutely love this product it is very elegant. Well made and well personalised. Delivery was extremely fast especialy as the product was personalised and it looks lovely on the collar.